My dear friend Lynn recently shared a photo of a family treasure—her mother’s copy of The Settlement Cookbook. 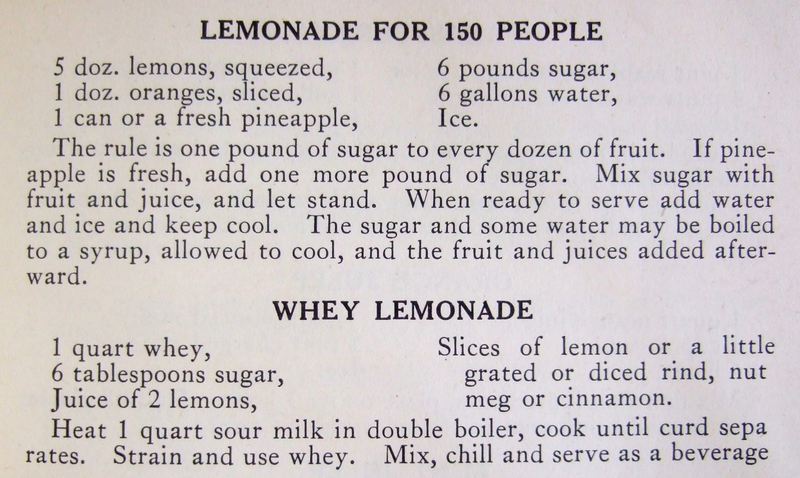 My mom was married in the 1920s, and I think in those days ladies didn’t have the wealth of cookbooks available that we have now. This was my mom’s “go to” for everything. I remember her having the pages open and making the best meals for all of us. She and my dad used everything from their huge garden, and she canned all summer long. This cookbook was her treasure. I think she must have had it from the very beginning of her marriage, as it is so worn out. When she made a cake from the cookbook (cakes were for birthdays and special times—not an every day thing as now), we all waited with anticipation because we knew it was going to be fabulous. 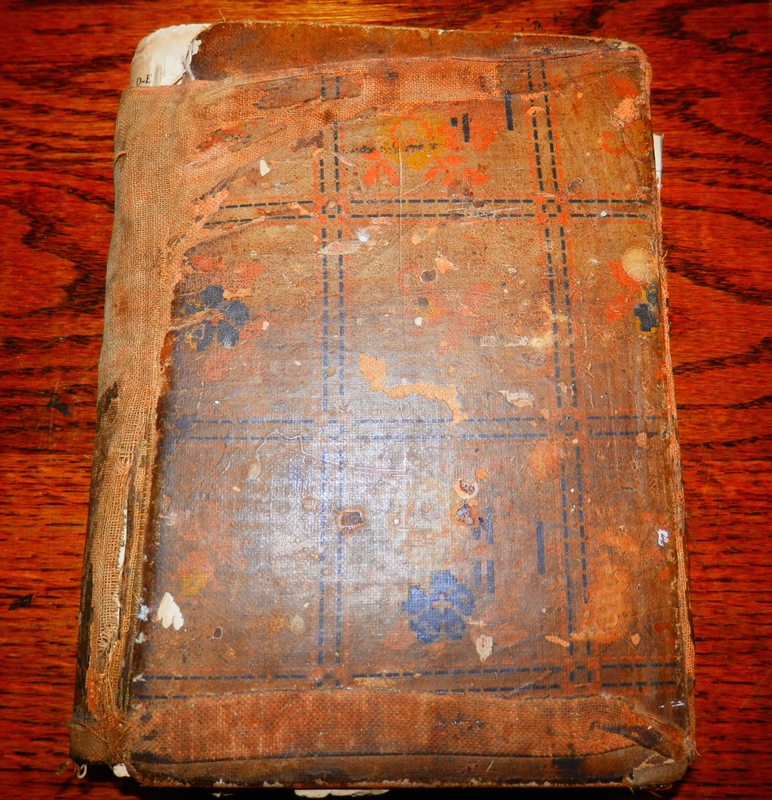 Lynn’s husband notes that the best recipes can be found on the most stained and thumbed pages. I love exploring food history because food is one of the most tangible connections we have with the past. Just a glimpse of Lynn’s cookbook suggests a wealth of stories. 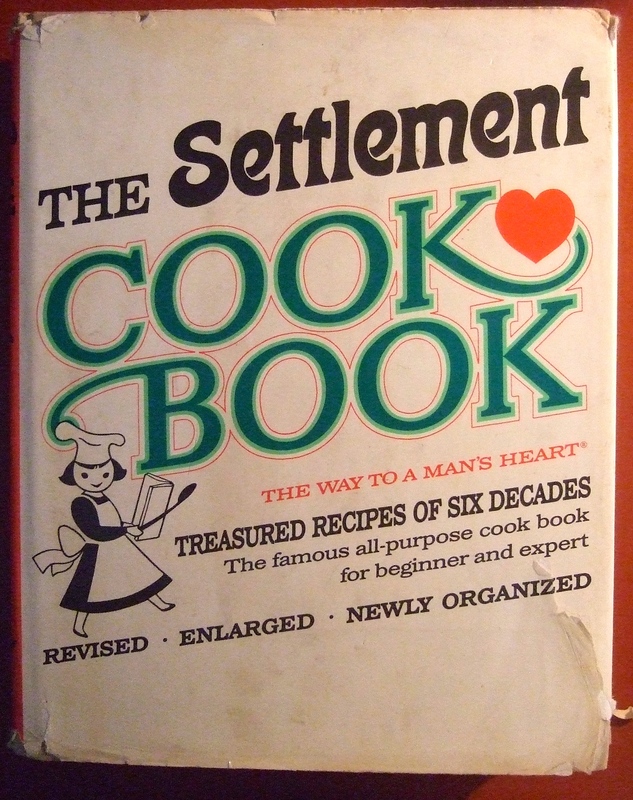 There must be many treasured copies of The Settlement Cookbook still in kitchens. First published in 1901 as a fund-raiser, over two million copies have been printed. 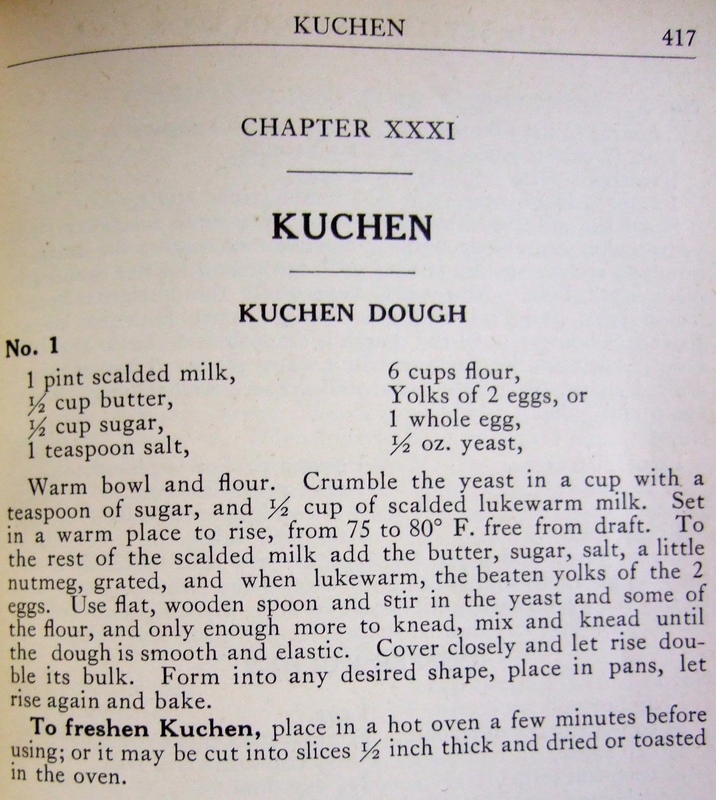 The cookbook was compiled by Elizabeth “Lizzie” Black Kander of Milwaukee. Kander had long been involved in civic work, including helping newly arrived immigrants adjust to life in America. She served as president of the organization that founded a Settlement House, and taught cooking classes. But she thought the her students wasted too much time copying recipes from a chalkboard. To solve that problem—and to help fund the Settlement House programs—Kander suggested publishing a cookbook. She requested $18 to fund the project. When the Board of Directors refused to finance the project, she worked with a local printer and raised money by selling advertisements. All the copies printed sold within a year. The cookbook was reprinted again and again, with Lizzie making updates and corrections as needed. In addition to helping immigrants learn how to prepare American dishes, the book contained recipes from some of the ethnic groups represented in Milwaukee. A whole chapter on kuchen! Lizzie and her colleagues were so successful in attracting immigrants to their programs that more than once, they had to move to a bigger space. 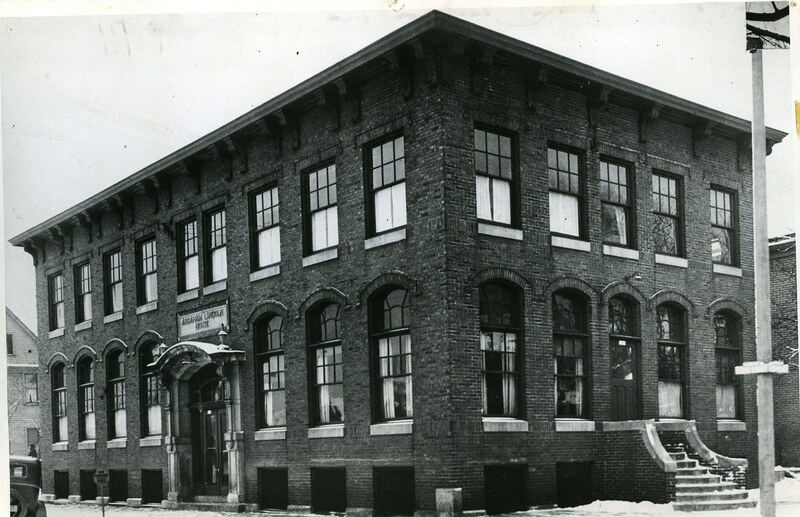 The Abraham Lincoln Settlement House ( 601 Ninth Street in Milwaukee) opened in 1912. I was not really aware of The Settlement House Cookbook until I moved to Wisconsin in 1982. To my surprise, however, I found a copy in my maternal grandmother’s small collection of cookbooks after she died. My grandmother was born and bred on New Jersey’s Atlantic shore—daughter of an oysterman—but this cookbook, compiled by a Milwaukee woman of German-Jewish descent, had a place on her shelf. 1965 edition, published by Simon and Schuster. 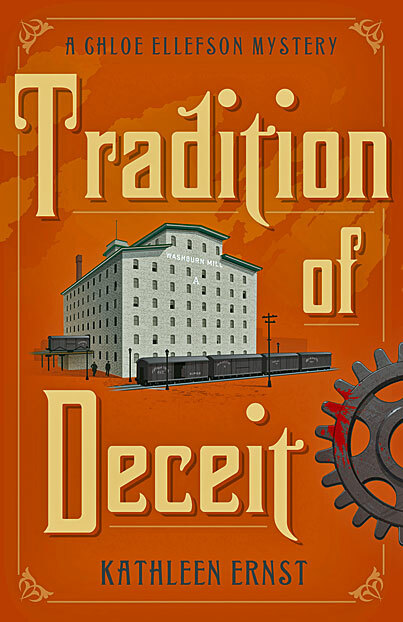 Partly in her honor (and in honor of women like Lynn’s mom), I couldn’t resist including a brief mention of the Settlement House and Lizzie Kander’s cookbook in Tradition of Deceit. It fit perfectly with the themes of urban immigration and food history. 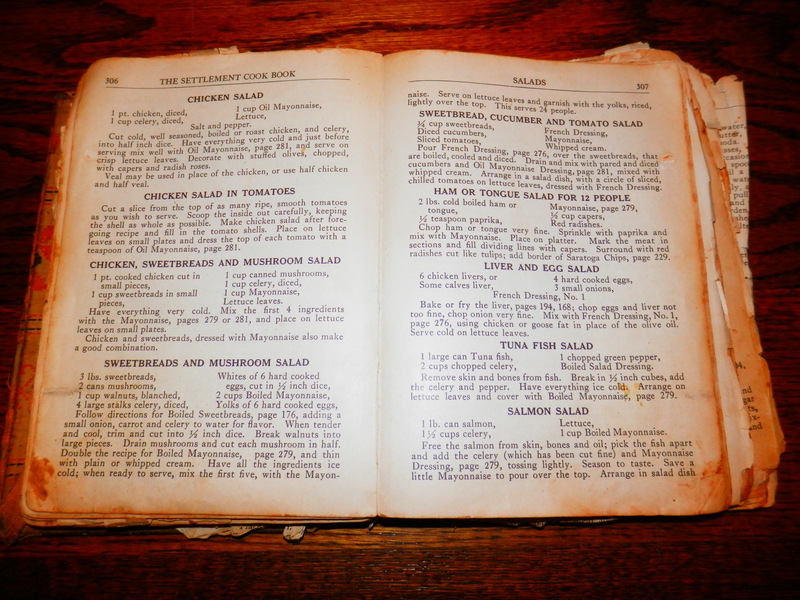 Has The Settlement House Cook Book been part of your family’s food traditions? I’d love to hear about your favorite stories or recipes! 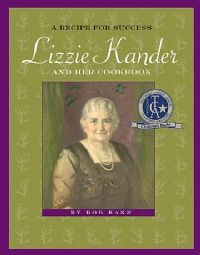 And if you’d like to learn more about Lizzie Kander, I recommend A Recipe For Success: Lizzie Kander And Her Cookbook, by Bob Kann, part of the Wisconsin Historical Society’s Badger Biographies Series.